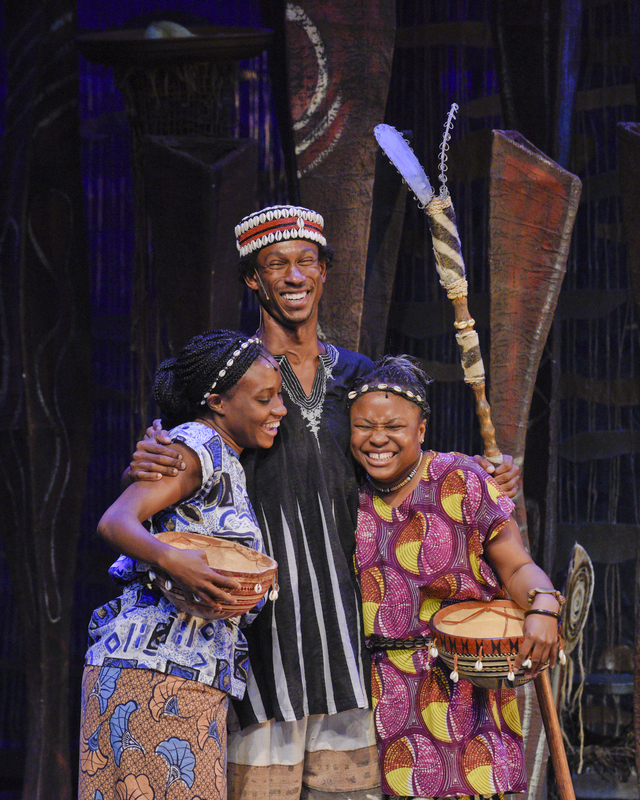 What can be learned from a play like MUFARO’S BEAUTIFUL DAUGHTERS? In the throes of day-to-day life, it can seem impossible to keep a handle on our values. Worse yet, daily encounters with defeatist messages and the mundane can make us question if our ideals make a difference at all. Theater can help offset this negative, narrow view of life by providing a warmer, large-scale lens. Children particularly can benefit from this perspective. In the early stages of their development, children need a place not only to be entertained, but also to see the effects different types of behavior can have. 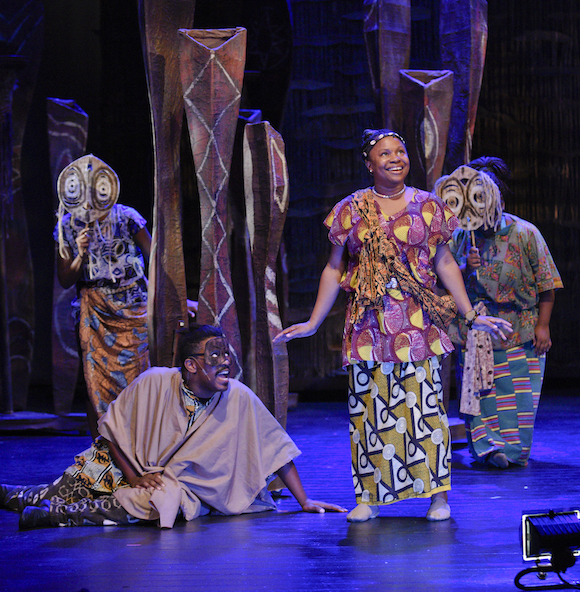 The theater is a place where outlooks are cultivated, and shows like MUFARO’S BEAUTIFUL DAUGHTERS give parents a chance to begin conversations about values with their children. MUFARO relates what initially seems to be a simple story. 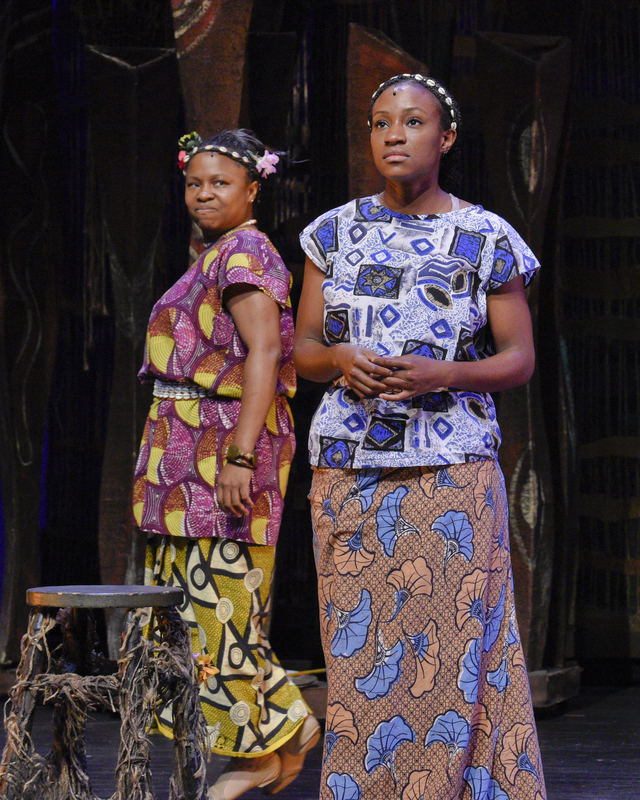 Two sisters – one kind (Nyasha) and one selfish (Manyara) – are invited to meet the king as potential brides. Each takes a journey through a forest on her way to meet the king, encountering needy people along the way. Manyara treats these people cruelly, while Nyasha offers what little she has to them. It is revealed that the king was present in each of these people, and ultimately Nyasha is chosen for his bride, while Manyara becomes a servant in their household. This plot teaches a clear lesson: be compassionate to everyone, for we reap what we sow. The show, however, is not a dull morality lesson. With its infectious percussion and playful humor, MUFARO exudes joy, reflecting the benefits of Nyasha’s openhearted outlook. It is this outlook that allows Nyasha to succeed in the forest. In the face of the unknown, Nyasha reacts with curiosity and compassion, embracing the new and looking for chances to help others. Manyara, on the other hand, reacts with fear and treats other with hostile distrust. Nyasha demonstrates how to approach day-to-day life with one’s values intact, but what of her sister? Is she merely a demonstration of how not to act? I would argue that Manyara, like so many people, has much more to her than is noticed at first glance. After all, she is ambitious, bold, imaginative, and – in her spirit of sibling competition and desire to get out of work – even relatable. Her refusal to be docile just because she is female, moreover, is an important lesson for growing women. If her energy was directed towards giving rather than the acquisition of power, she could be as admirable as her sister. 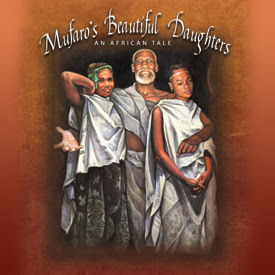 MUFARO’S BEAUTIFUL DAUGHTERS is not only a fun show but also a great launching pad for conversations with your kids about values. Ask them what they thought of each daughter; what they liked and disliked about each of them; what they thought of the play’s message; how can they help people in their day-to-day interactions; and – most importantly – what did they enjoy about the show. 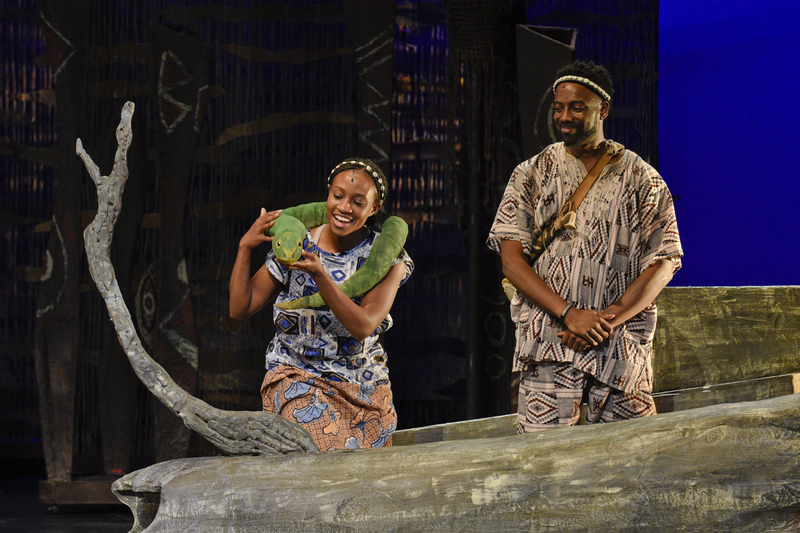 Nyasha finds the good in everything – even snakes! DCT is committed to being a resource for parents teaching their children how to live in the world with others. 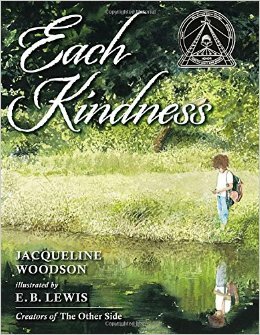 This year, it has been our pleasure to offer a series of resources in our bookstore specifically focused on stories about practicing kindness. Below is a list of some of our available titles. Pick one or two of them up when you come see MUFARO’S BEAUTIFUL DAUGHTERS on the DCT stage. Tickets at dct.org. Ryan Diller is a DCT Guest Writer. He is the former Web Editor of 1966: A JOURNAL OF CREATIVE NONFICTION, and his writing has appeared in MULTIBRIEFS and HOT PRESS. 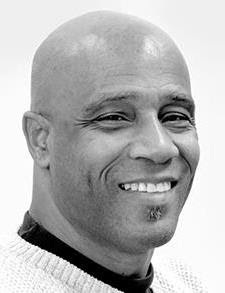 He will begin working towards his MFA in Playwriting this coming fall at the University of Calgary. The following is a list of books that are available for sale in the DCT Store. These support materials are provided as a service to our patrons and as part of our commitment to promoting kindness. 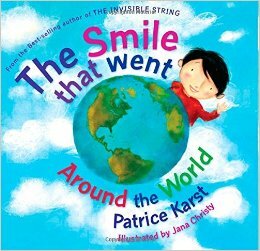 Books about living in the world with others. 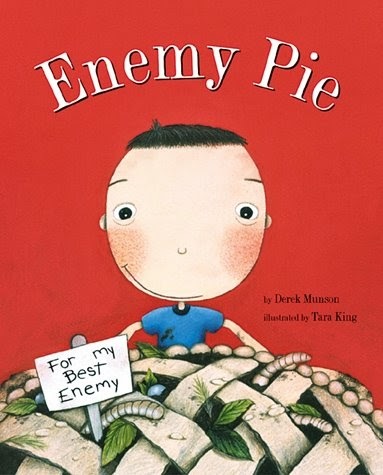 A young girl learns the cost of bullying when she loses the opportunity to make a new friend. 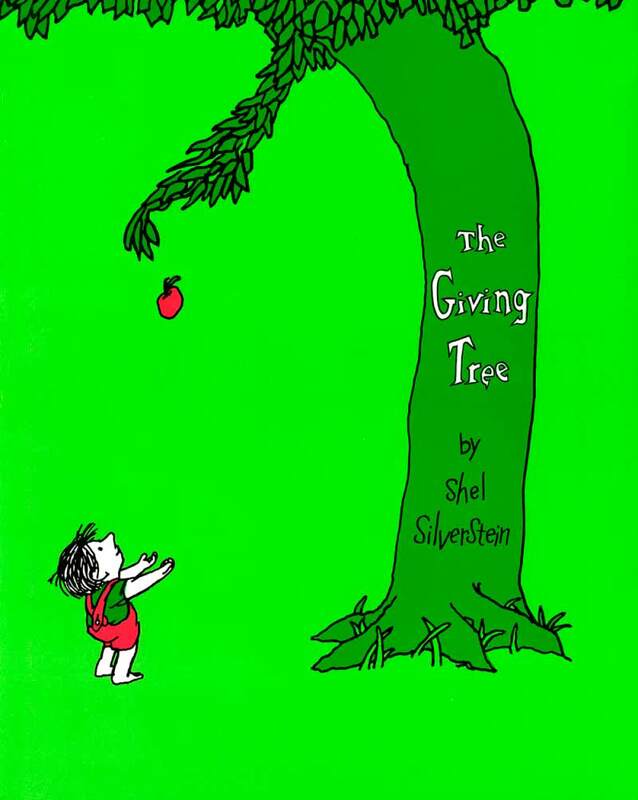 A tale of a tree that gives everything for a boy, and the spiritual peace brought to both through its generosity. 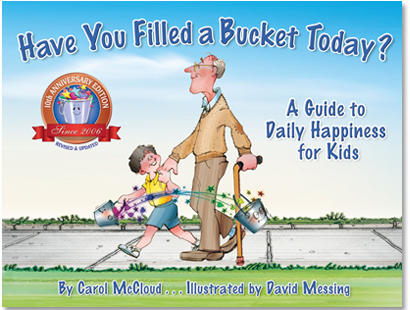 A book encouraging positive behavior via the metaphor of filling buckets. 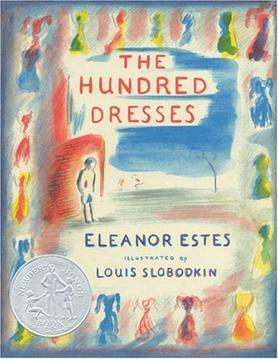 A young girl is bullied because of her clothes. Her classmates learn the repercussions of their bullying when she suddenly switches schools. 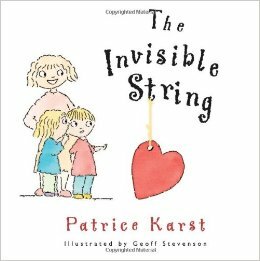 A mother’s lesson to her children about the invisible string of love connecting us all together. 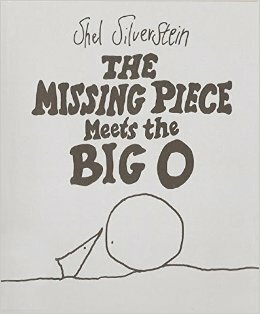 A simple story about a character who wants to become something different. 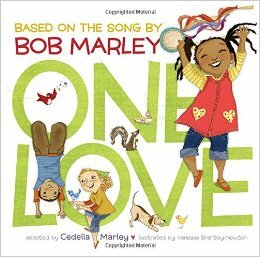 Based on the Bob Marley classic, a young girl brings her community together to create a better neighborhood. 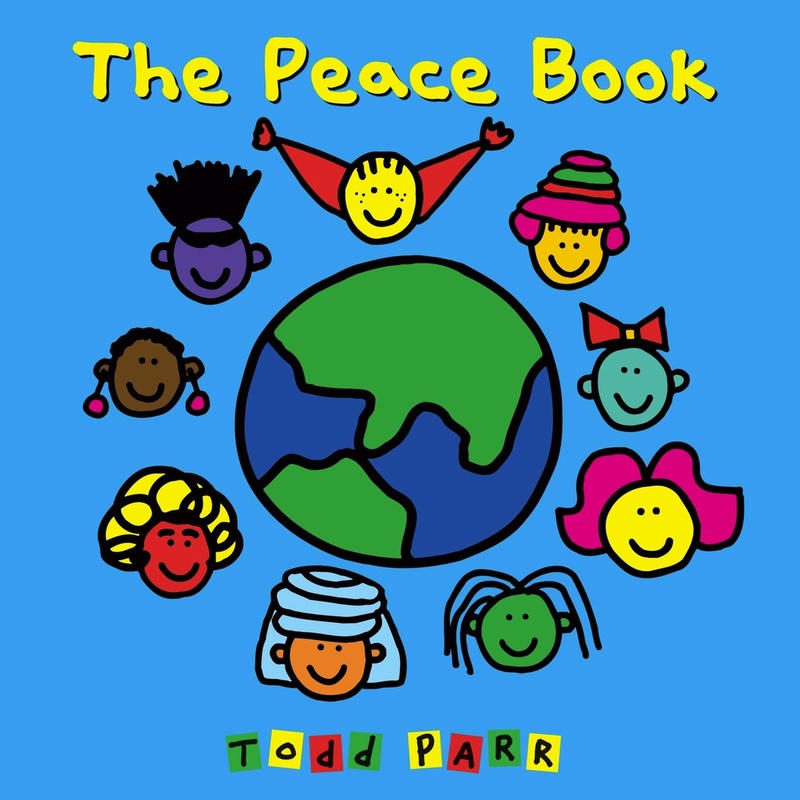 A book about the importance of tolerance, designed for children just learning to read. How do you get rid of your worst enemy? Become best friends! 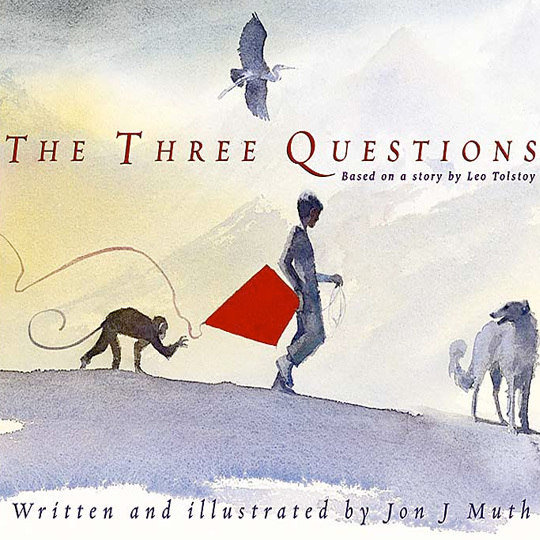 An endearing story about a boy learning to like someone once he gets to know him. A boy is resolved to be the best person he can be, but is not sure how. A fun story about how one act of kindness can spark a chain reaction of smiles. 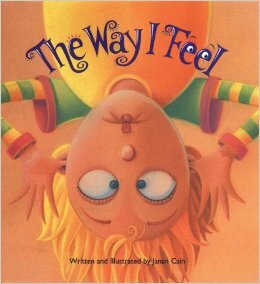 A fun, colorful book of expressive illustrations that help developing kids describe their emotions. 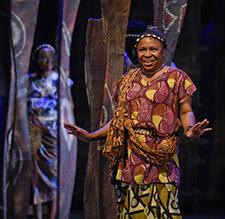 Uplifting and joyful…that’s how the play was described by someone who had the benefit of seeing DCT’s National Touring Company present MUFARO’S BEAUTIFUL DAUGHTERS: AN AFRICAN TALE in Colorado a couple of months ago. 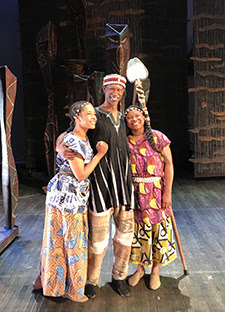 I recently had the pleasure of hearing the composer, S’ankh Rasa, and the choreographer, Michelle Gibson, discuss the role theyplayed in bringing this magical production to life. Talk about a celebration of culture! 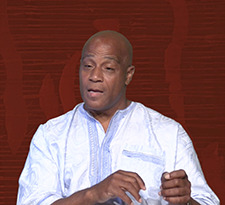 Both S-ankh and Michelle spoke about Africa in great detail; from the musical instruments to the traditional dances, to the spiritual elements, and so many of the details present in the story of Mufaro’s daughters, Manyara and Nyasha. Both S-ankh and Michelle are such large personalities that just hearing them speak had an infectious rhythm, and as they spoke of Africa, they both used the term “magical” several times, and by the end I was ready to go. At the very least, I was ready to get up and dance. I had the best time listening to him talk about a story so familiar to him. 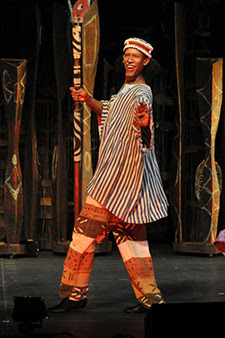 When I, as a blue-eyed white woman see a poster for a play like MUFARO, I’m often quick to jump to thinking it’s not for me; that I can “sit this one out.” But as I heard S-ankh talk about the relationship between the sisters and also the way he worked with the actors to ingrain the traditional instruments into their characters and their bodies, I related on so many levels – both as a parent and an actress. 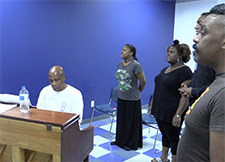 The story of the family is true to life with just the right amount of fantasy, and hearing about the process of preparing the actors revealed their blood, sweat, and tears devotion to this project. S-ankh even told one of his actors to sleep with his instrument. I must see this show. Then, of course after watching Michelle, I was transfixed and quite smitten. She is a preacher’s daughter from New Orleans who moved to Dallas after Hurricane Katrina, so she has her own story to tell. She shared that she connected on such a spiritual level with MUFARO. I am not a dancer, but as she spoke, it was immediately apparent that dancing runs through her veins, and has been a part of her entire life (despite her father’s plan for her to play piano). 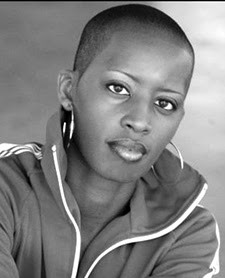 Her friend, S-ankh, is the one who asked her to choreograph the production; she read the story of MUFARO and immediately loved it. Both of these passionate artists spoke of the tradition of storytelling, and how important it is to humankind, and specifically how important it is in the African tradition. Then they both talked at length about the story and its lessons, as each character explores their identity and learns to support each other. They also made note of the “authentic-ness” of the story, and then of course talked about their excitement to bring this story to the stage. I grew up in the southern United States, where women sitting on the f ront porch with their iced tea gossiping was a very common thing. Michelle made a comparison of that to the way women in Africa build a community around the events of the day, knowing each neighbor and sharing communal experiences similar to those she experienced in church as a preacher’s daughter. The more they talked, the more I felt like this was a community that I could be a part of, and one that I definitely want to share with my family by bringing them to this production. Michelle talked about the “bantaba” moment. She described it as the moment when everyone enters a sacred space, and everyone is embraced, and there’s no right or wrong because everyone is a welcomed participant. That is the way acting professionals like to think of the theater. This is a show for every family, specifically families with young children, brothers and sisters. The music will be new to most of our ears, but I’m imagining a lot of little bottoms bouncing in their seats, and I think that’s okay. It’s going to be hard not to feel this show in our bones. Those drums alone are going to penetrate our spirits, all while telling this beautiful story of a family. I can’t wait to see it. We’re inclined to go to plays where the characters look like us, regardless of the quality of the professionals attached to the production. That’s a mistake. It’s time to look past the routine and look into the heart of the story, which honestly was hard for me to do before hearing these charming, passionate artists talking about the play, and their experience in creating this play. See S-ankh and Michelle in action! Click their names to see a video profile. June 23 – July 9. Get your tickets at dct.org .